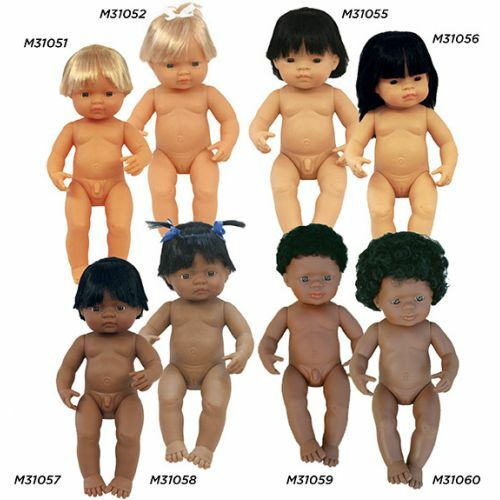 Vinyl dolls with sewn-on hair and well-defined features. Articulated head and limbs. Can be washed and bathed. 40 cm.